Hens & Hounds, Brunch with the Mascots, and more! The Hens are back in action at Fifth Third Field for the weekend of Friday, April 19 through Sunday, April 21. The boys of summer will welcome the Columbus Clippers, Triple-A affiliate of the Cleveland Indians, to town. We're teaming up with 'Love Your Melon' on a very special ticket package that includes a stylish Mud Hens beanie, exclusive for April and May games. The Love Your Melon Package is available for this Friday, Saturday and Sunday's game. 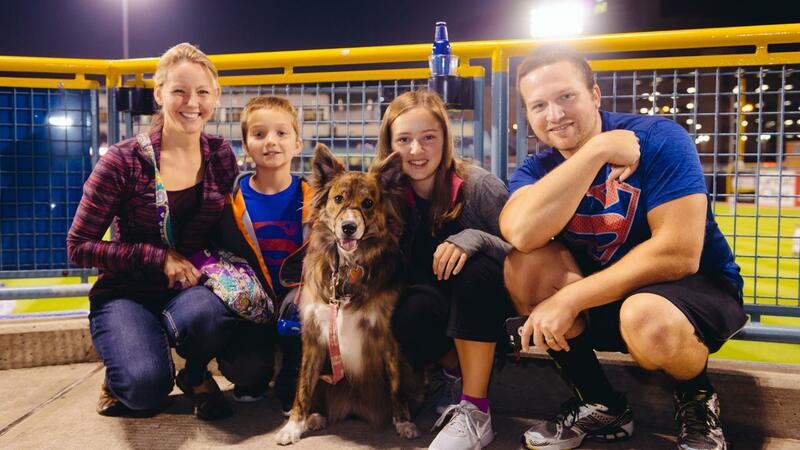 Fetch a great time at Saturday's game by bringing your dog to the ballpark! All dogs and dog owners will have a designated seating section in the Home Run Terrace with water stations and access to Hensville Park. This year you can add a Mud Hens dog leash for just $10. All dog tickets for the April 20 Hens & Hounds game will benefit Lucas County Canine & Control. For Sunday's game, score a Hens game ticket and stylish cap for just $21 with the Ticket + Cap Package! NEW IN 2019: Sunday Brunch with the Mascots at Holy Toledo Tavern before Sunday afternoon Hens games! • Lexus Birdcage Club: birdcagebarandgrill.com | The Lexus Birdcage Club is located on the Club Level at Fifth Third Field and provides incredible views of the ballpark! You and your guests will enjoy a 'Chef's Table' dining experience, featuring a rotating menu of themed selections.